Logo printed t-shirts can make your message stand out with the perfect solutions. These t-shirts are especially for events, community, friends or family. The logo on t-shirts represents the company at all the place it goes. It is one of the most influencing marketing strategies. The best fabric depends on the climate you reside and the type of durability you require. When it’s come to t-shirt printing, not all fabrics are created equally. It depends on the consistency of the fabric. The quality of fabric depends on the stretch of a knit fabrication to provide ease of movement and placement. The fabric should be resistant and soft. We manufacture T-shirts and print in-house a wide range of quality customized T-shirts at unbeatable prices. We maintain ready stocks in round necks and polo’s in various colors. We are offering any design or any color T-shirts of your choice. We offer different type of fabric t-shirts and many more at very cost effective and adorable rates. We highly recommend choosing the best quality T-shirts fabric that your budget allows. The standard size of logo depends on the platform. To ensure logo works in different mediums, we’ve provided a list of standard logo size guidelines so you can display your brand seamlessly across websites, social media, print materials and more. Promotional tees are a part of staff uniform; this one is easier to figure out. Knowing the appeal will be worn while on the job allows you to dicate requirements within the designs. This allows brand to remain consistent across all communications. The size of the design is an important factor. It is recommended to embroider a design that will cover the right or left chest of the t-shirt to maintain the quality and professional look. Color in design is vitally important; it is an instant attention-grabber, sets moods and can influence our emotions. Color can make designs come alive and more effective. Color becomes more important and can often be the sole reason someone purchases your products. The element of design is best at instantly communicating personality is color. Each shade evokes an emotion. Logos need to be placed proportionally on the t-shirts and on the people wearing them. There are several placement available for a variety of sources. The best way to ensure placement is correct is to put the garment on a real person to see how it actually drapes or centers. e.g., on the hem, sleeve, neck or collar, actual pocket and more. Company tees are a long standing business with advertising logos on t-shirts. 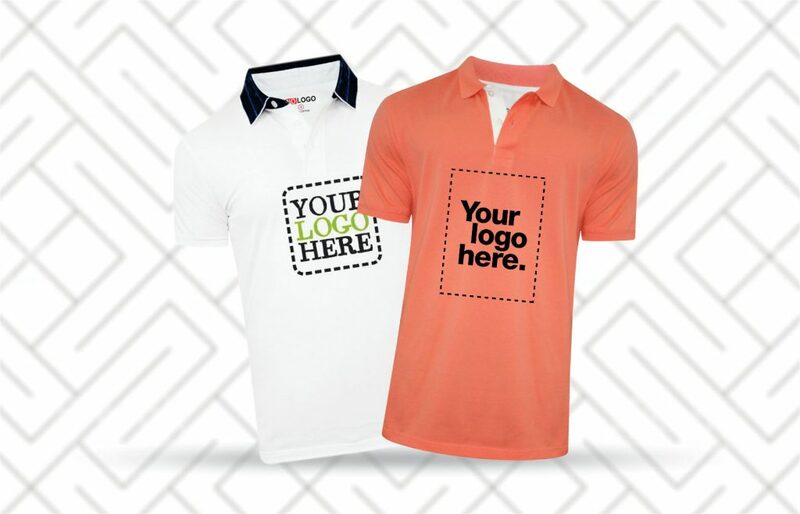 These t-shirts are free to keep your brand in the minds of prospective clients and customers. This could create first impression of your brand. Company t-shirts build a sense of community among workers. Shout your message loud and clear with custom slogan t-shirts. Personalization of clothing and assessors is a major selling proposition in the apparel industry as personalized apparels are not readily available in the market. The ability to add custom designs on their clothing and accessories also increases the value of the product in the eyes of customers. Making customized t-shirts and selling it isn’t something unique, what needs to be unique is your design and the way you sell your company and business. Our experts will analyses your business potential and craft the best one. It’s simple and affordable. And, we Promotional wears provides customer satisfaction services. Our printing and clothes quality always matters. Promotional wears also provide all kinds of corporate gifts, promotional gifts , promotional gift printing and other advertising giveaways. For having any more detailed information, you can consult with our company.